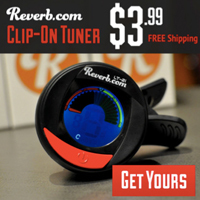 Published on March 22, 2017 in Bands/Artists, Music, Out and About and Vinyl. 0 Comments Tags: 2 LP, 2017, Alan Evans Trio, Colemine Records, Dojo Cuts, Durand Jones, Ephemerals, exclusive, Fat Night, Gene Washington, Ikebe Shakedown, In Motion Collective, Jive Turkeys, Jungle Fire, Kris Lager Band, Leroi Conroy, Los Sospechos, Monophonics, Orgone, Record Store Day, Red, RSD, Soul Scratch, Sure Fire Soul Ensemble, The Droptones, The Grease Traps, The Gripsweats, Vinyl. I usually try to post about the nuggets in the Record Store Day releases. When this year’s Record Store Day list posted yesterday, I was admittedly underwhelmed by the releases. I saw some compelling ones, like the third part of the Complete Big Star Third collection, the 2nd release of the CSC Funk Band on Electric Cowbell (their first release Funkincense came out as an RSD exclusive, which I have and love). The Fleetwood Mac Alternate Mirage is interesting, if ultimately non-essential as a vinyl release. 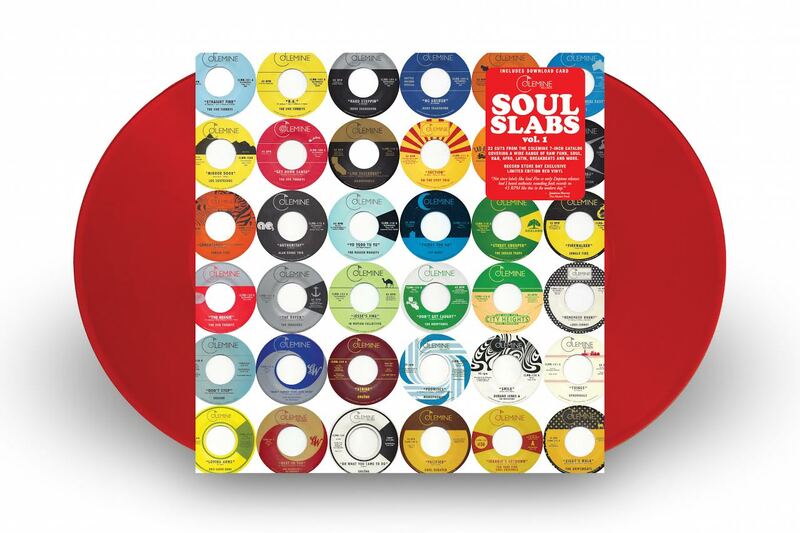 But, deeper in the list, down in the compilations was the new RSD exclusive Soul Slabs Vol. 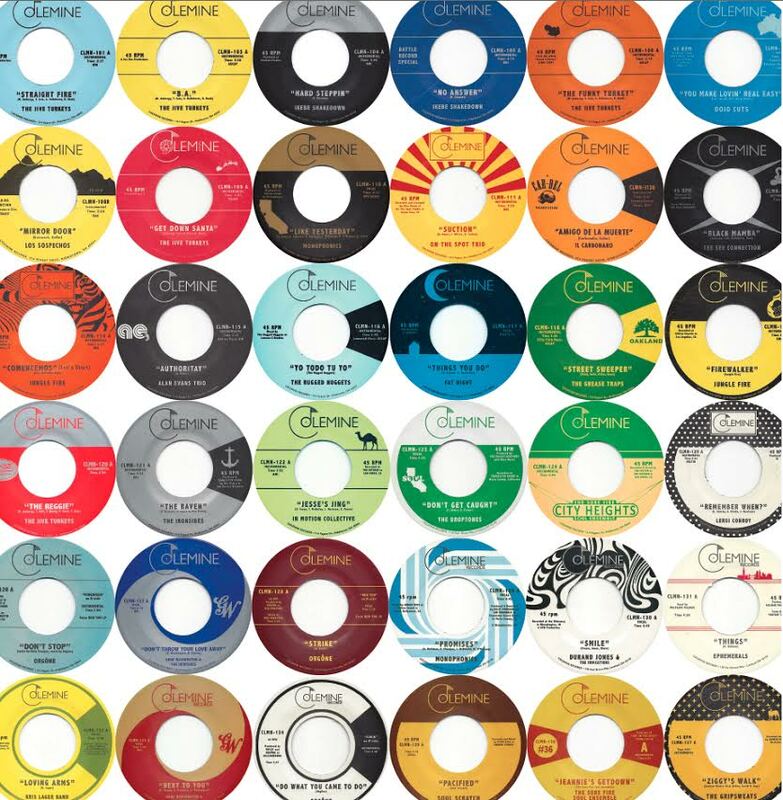 1 compilation of the legendary 7″ R&B/Soul/Funk releases from the Ohio-based Colemine Records. In 2014 Colemine released a compact disc compilation of singles called 20/45 in celebration of their seventh birthday. Soul Slabs is an update of that compilation, bringing the collection up to 2016. There is a pretty big overlap of the two releases, but since this is on vinyl and updated, it really is the more essential release in my opinion. It doesn’t miss the big cuts: Ikebe Shakedown’s “Hard Steppin'” is pretty much an R&B classic at this point– Colemine reissued the single for RSD a couple of years ago and reissued the Hard Steppin’ EP on vinyl. Orgone has been a force for a few years, and the releases on Colemine are an essential addition to their catalog– their release Beyond the Sun is positively breathtaking and should be in everyone’s soul collection. That goes for Durand Jones and the Indications new LP as well. Damn. Colemine started a subscription service of sorts where they email you about new exclusive releases and they give you a chance to buy it before it goes totally public. A lot of those releases are on this comp too: Soul Scratch, The Ephemerals, Kris Lager, Gene Washington & The Ironsides. 19. Leroi Conroy – Remember When? Here is a YouTube Playlist of all of the tracks. ENJOY!!! Anyway. Go get this. Seriously. The Time to play b-sides archives for the ephemerals tag.